Top row (left to right): 1. unidentified, 2. unidentified, 3. unidentified, 4. unidentified, 5. unidentified, 6. unidentified. Second row: 1. unidentified, 2. unidentified, 3. unidentified, 4. unidentified, 5. unidentified, 6. unidentified. Third row: 1. unidentified, 2. unidentified, 3. unidentified, 4. unidentified, 5. unidentified, 6. unidentified. Fourth row: 1. unidentified, 2. unidentified, 3. unidentified. Fifth row: 1. unidentified, 2. unidentified, 3. unidentified, 4. unidentified. 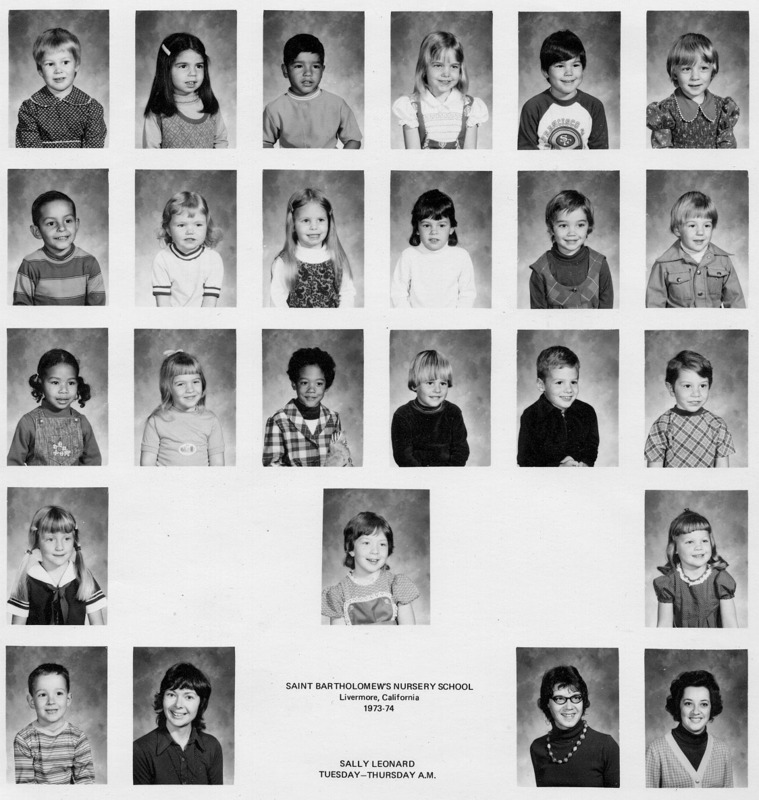 To find other pictures from St Bartholomews Nursery School in the archive, see Livermore class pictures listed by school: St Bartholomews Nursery School. And if you have any pictures from St Bartholomews Nursery School that you would like to share, please submit them to the Archive.